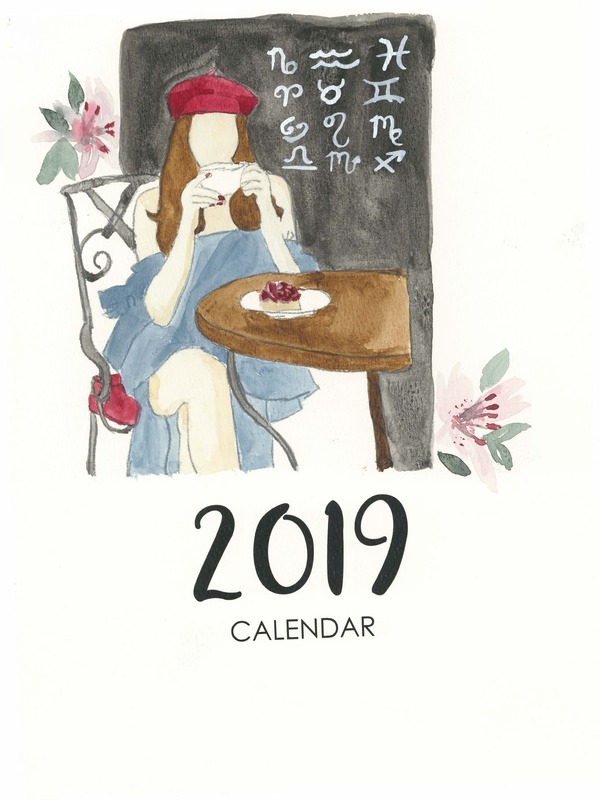 I finished my 2019 Hats of the Horoscope calendar just before Christmas, but I am just getting around to sharing the news. I also wanted to provide a little background about the inspiration behind the calendar. In case you had not noticed, I have a thing for hats. I have been collecting images of hats for years on Pinterest and I am known to regularly sport hats whenever I get the chance. 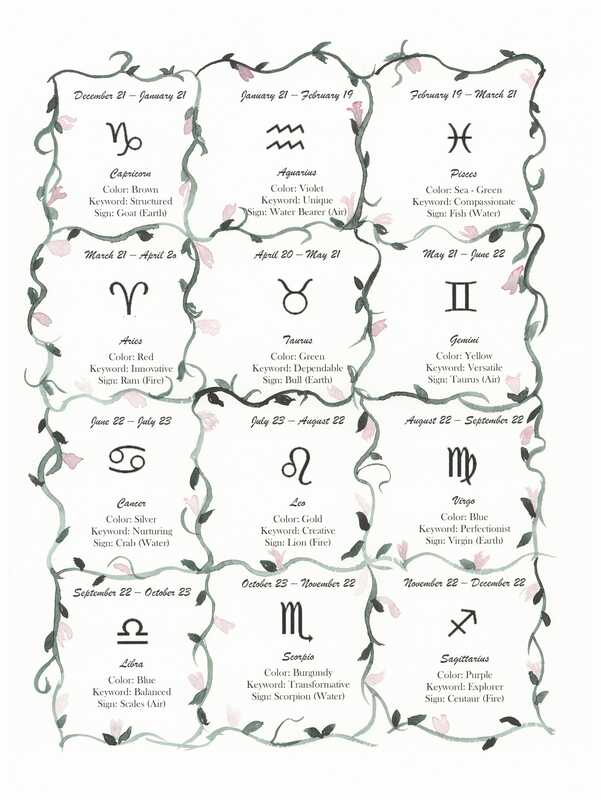 I am also fascinated by natal astrology (the one that based on calculating our exact birth dates, times, and locations to provide us with snapshots of our whole life). I combined the two in order to create something unique, and I am thrilled with the results! To keep things manageable, I decided to pick out hats that match one particular personality trait from each of the signs and to depict it in the color denoted for each sign. I included the interpretations below so you will be able to see what each one means. I hope you enjoy reviewing each month. These calendars are also available for purchase on my Etsy shop. What a fabulous idea! Good job in sharing your inspiration. I love nature. Any way where do you print up your calendars? Thank you very much! I use a local place called Minuteman Press (they are a chain so you may be able to find one in your area). They printed the calendars on beautiful cream colored stock which mimics the look and feel of the original watercolor paper. Please let me know if have additional questions. Gorgeous use of watercolor here. Your work just keeps getting better and better! Great concept!